There’s a wetland right in the middle of where you’re planning your project. Maybe someone from a government agency sent you a letter or pointed it out while they were on site. Maybe the National Wetlands Inventory Map shows a wetland on your property, or you’ve seen a pond, cattails, or a stream. Maybe you don’t know if you have a wetland or not, but you need to find out to apply for specific funding or a certain permit. If you’re planning to develop your property, and you’re going to be working in or near the wetland, then you’re going to need a wetland delineation. Remember that in the U.S., wetlands are defined and regulated by government agencies. The specifics depend on where you are, but in Indiana, that means you might be dealing with the U.S. Army Corps of Engineers (USACE), or the Indiana Department of Environmental Management (IDEM). 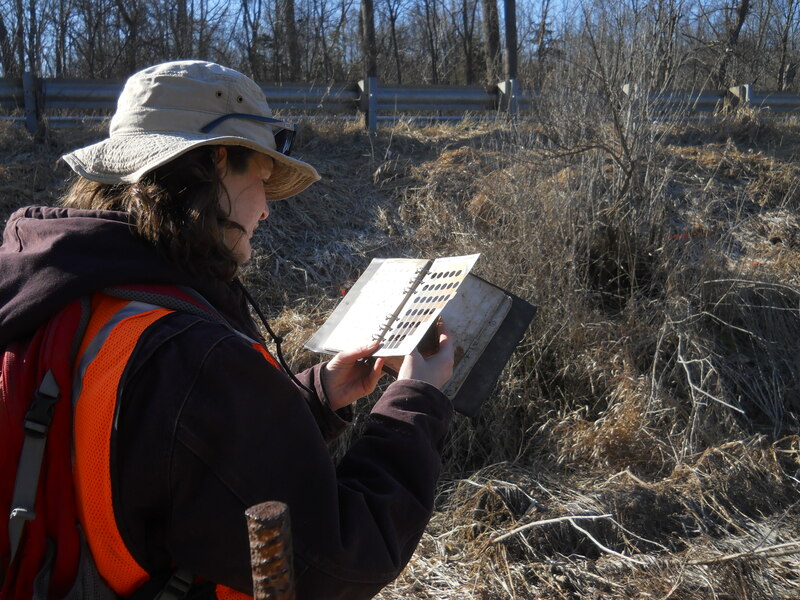 A professional wetland ecologist can formally mark the boundary of any wetlands on your property. Keep in mind this is a professional service, so you will need to account for this cost, just as you would for a surveyor or construction costs. You wouldn’t ask an amateur to draw your site plans – be sure to hire someone who knows what they’re doing, someone who is familiar with the types of wetlands in your area. So where do you find a wetland delineator? States, counties, and agencies may keep a list of qualified wetland delineators. Here are two example lists – the Louisville District for the U.S. Army Corps of Engineers, and the Indiana Department of Transportation. These agencies generally won’t recommend consultants, but lists like these can point you in the right direction. A wetland delineator at work. Once the delineation is complete you can then use this information to decide if you can continue with your project and stay outside the wetland. If you can avoid the wetland, or can change your project so you do, then you don’t need to do anything else. But if you find that you can’t avoid the wetland, don’t worry. We’re here to help. To prepare you for the next step, Orbis can perform the delineation and submit the report to the relevant agency. At this stage the agency will formally determine that the wetland is under their jurisdiction – this is called, not surprisingly, a “jurisdictional determination”. If you decide to proceed, Orbis can also help you apply for a wetland permit. If your project is fairly straightforward you may be able to complete the permit application yourself. But you may find that hiring a professional can actually save you time and money, while also saving you a load of frustration. The person who prepares your permit can be the same person who performed your delineation, but it’s not a requirement. The most important thing is to choose someone who is familiar with the wetlands in your area and has experience working with the relevant agencies. The permit will include any specific procedures or restrictions you’ll need to follow to complete your project. It may also list certain obligations that you need to meet going forward. There may be several options available for you to meet the conditions of your permit. What’s the best one for you? We’ll talk about that in a post next week. If you want to talk to an Orbis ecologist, you can contact us at 574-635-1338 or by email at info@orbisec.com. 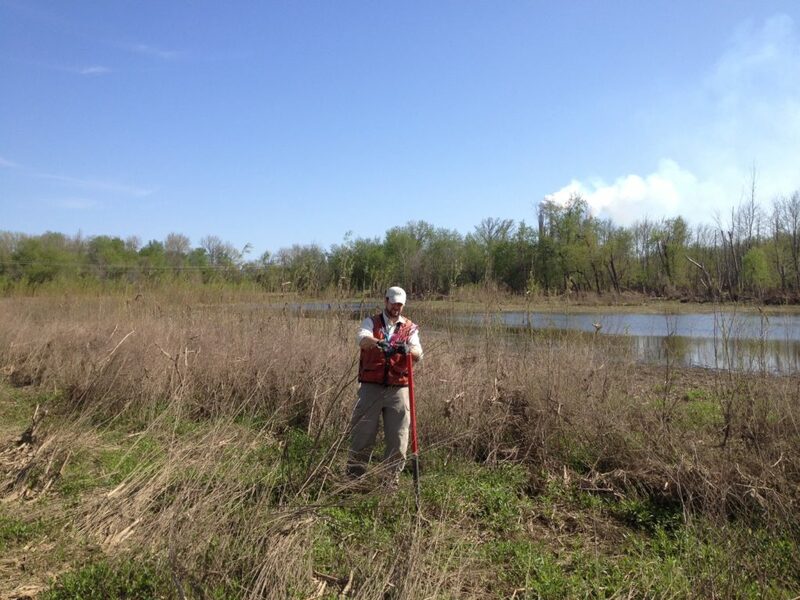 Looking for hydric soil indicators during a wetland delineation.